.Fenimore Fillmore 3 Skulls of the Toltecs is an Adventure game for PC published by Casual Brothers in 2019. The classic game is remastred! A remastered classic point and click game, where you will control a cowboy and experience a werstern story. 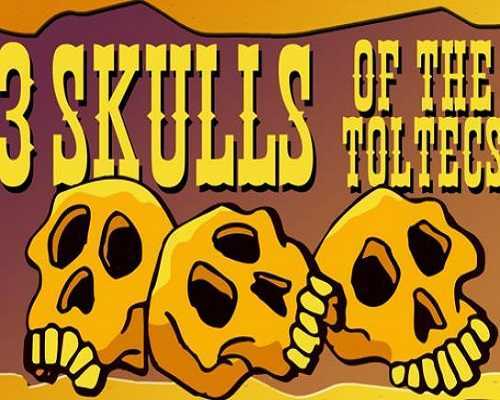 A Cult Classic: Among the classics of the golden age of graphic adventures, 3 Skulls of the Toltecs is a cult title that has received the highest praise from both the press and the great fans of the genre both for its witty history and its delirious dialogues. Protagonist of the funny adventures in the wild west, of which this is in the first installment, Fenimore Fillmore is a nice and naive gunman who has to face the most hilarious situations to solve the most crazy puzzles with his innate insight. 0 Comments ON " Fenimore Fillmore 3 Skulls of the Toltecs Free Dow... "